After our wonderful experience of Treasure Trails in Newcastle earlier this year we were keen to try out a few local ones. After a quick browse on their website we were pleased to find several for our area, including one in our very own town, Gorleston-on-Sea. Now our town is pretty "unknown" to the wider country, others tending to refer to it simply as "is that Great Yarmouth?" or "where?" 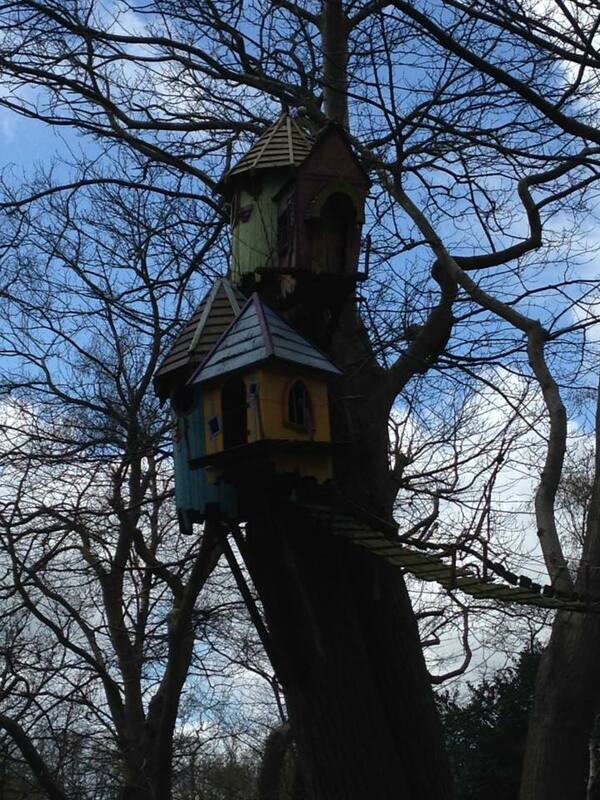 So to find it featured in it's very own Treasure Trail, well we were thrilled! The packs arrived within just a few days so we were very impressed with the service. They are printed on card and come enclosed in their own card slip and then in a protective plastic sleeve. 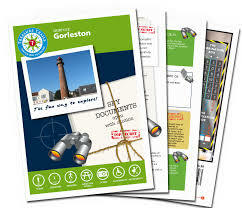 The previous trail we had enjoyed was a murder mystery theme, the Gorleston-on-Sea trail in a fun Spy Mission. The object is to find the answers at each clue and fill these in at the back of the trail. Each answer when written in the grid will have one or two highlighted letters/numbers, these then transfer to the Combination Box. Cross these off as you find them and the remaining four will give you the Deactivation Code. Now we just needed to find the perfect time to head out on our trial! Half Term seemed like the ideal opportunity and we made plans to meet with friends. The day arrived and we woke to find a cold, overcast and drizzly day, however, unperturbed we packed up our lunches and headed off to meet up at 10am. The Trail started of at The Gorleston Lifeboat Station which is just a short 10 minute walk along the river from our house, there is also a free car park there if you wish to drive to the start of the trail. Once our friends had arrived we read the first clue and set off around the Lifeboat Station building to search for the answer. As we were doing this, one of the crew members heard us and came out to ask whether the children (and adults) would like to go inside and see the boats, we jumped at the chance, he also took us out on to the launch jetty to see the biggest lifeboat. As he was showing us around he asked what we were doing, we showed him the Trail and soon he was searching for the answer with us! Once this was located we thanked the crew member and followed the directions to our next clue. After finding the clues along this stretch we turned into Lowestoft Road for a clue and then up Suffield Road, past another friends house where they joined us with their dog who certainly enjoyed getting out for a long walk! We found the next clue as we turned into Middleton Road and another just up the road as we turned onto Middleton Gardens, these two we had to retrace our steps for as we had missed them even though they were staring right at us! After these were noted we had to cross over and go through the main pedestrian gates into the grounds of St Andrews Church where we found the next clue. 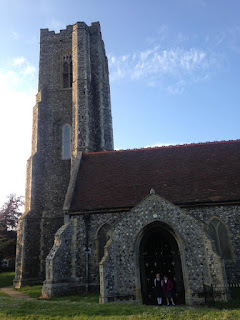 We carried on through the grounds and out of the church car park gates and turned right into Cross Road then then right again into John Road, looking for clues as we went. At the end of this we turned and made our way down to the High Street, via Palmer Road. We found another clue here and by this point the children were starting to pester for food. Seeing as we were on the High Street and someone mentioned chips it seemed rude not to have a quick refuel! Right! Now we were ready to set off for the next part of our journey. We past the library, which was the old Tramway Station and found our next clue near the pub next door. We continued along Lowestoft Road, up past the school and then turned back down England's Lane and turned off onto Beach Road at the bottom. We followed this along and found a few more clues on the way, coming out at the end onto Lower Esplanade. 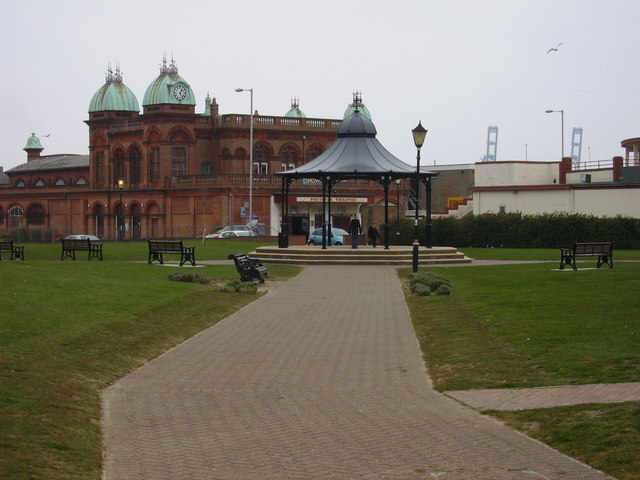 Here we found a clue over in the Gorleston Band Stand. Here we had planned to stop for our picnic and an ice cream but as it was so cold and windy with the rain threatening to soak us any minute we ploughed on to complete the last clue, this we found over by the pier. Time for a quick last photo opportunity! The off to our friends house to enjoy an indoor picnic! All in all, including our stop for chips and toilet the Trail took us 2.5 hours and everyone enjoyed it despite our cold fingers and toes! Every part of the Trail was accessible for all and we took in some lovely historical sights and enjoyed our little seaside town! We can't wait to try out our other local Trails. The girls have even ordered some for their Teachers as "end of year" presents! 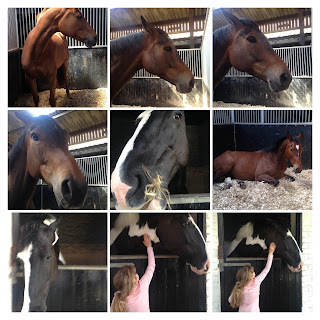 If your interested in finding out more information about Treasure Trails then click the link to visit their website or find them on Facebook. The Trails are a fantastic way of learning more about your area or a place you are visiting (we're off to Cardiff later this year and plan to find one to take with us to complete there.) And great for getting out in the fresh air and enjoying time with family and friends. We fancied trying a different recipe for chicken and after browsing the web Chris came across this easy recipe so we thought we'd give it a try. Preheat the oven at 180C/Gas Mark 4. Slice the chicken breast across the middle and fan them out "butterfly" style, making sure that you don't go through the other side. Lay these out and over with greaseproof paper or clingfilm and batter them with a rolling pin or cooking mallet. Sprinkle this with the salt, pepper and garlic powder. Lay a slice of ham over the chicken breast and then pieces of Mozzarella on top of the ham. Roll the flattened chicken breast around the ham and cheese,making sure you hold it firmly. You could now spike the meat with a toothpick to secure it, or just hold it tight like I did! Roll the chicken in flour, then the beaten eggs and finally the breadcrumbs. Making sure it is coated between each dipping and then tapping the excess off. And then place on a baking tray. Bake in the oven for 20-30 minutes until the chicken is cooked thoroughly. Then serve with your choice of accompaniments. We opted for broccoli, salad and tear and share garlic bread. Did you know that every year farms across the country open their gates up to the general public, they put on exhibits and hands on learning for all, they give away free samples of their fresh produce? Neither did we until last year after I had a visit from a local farmer at my workplace. Richard Hirst from Hirst'y Family Fun Park came to spend the day in my class and whilst there he told me all about Open Farm Sunday. 2016 saw the event reach it's 11th year. "Open Farm Sunday, managed by LEAF (Linking Environment And Farming), is one of the farming industry’s biggest success stories. Since the first Open Farm Sunday in 2006, over 1000 farmers across the UK have opened their gates and welcomed people onto their farm for one Sunday each year. 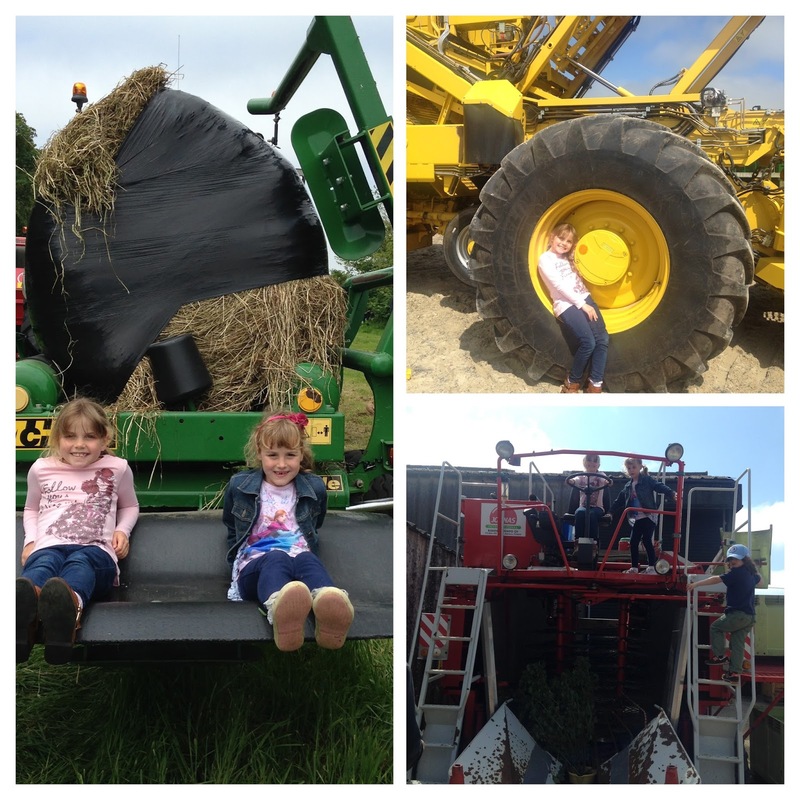 It is a fantastic opportunity for everyone, young and old, to discover at first hand what it means to be a farmer and the fabulous work they do producing our food and managing the countryside." Every farm is unique in what it offers and exhibits you can see. 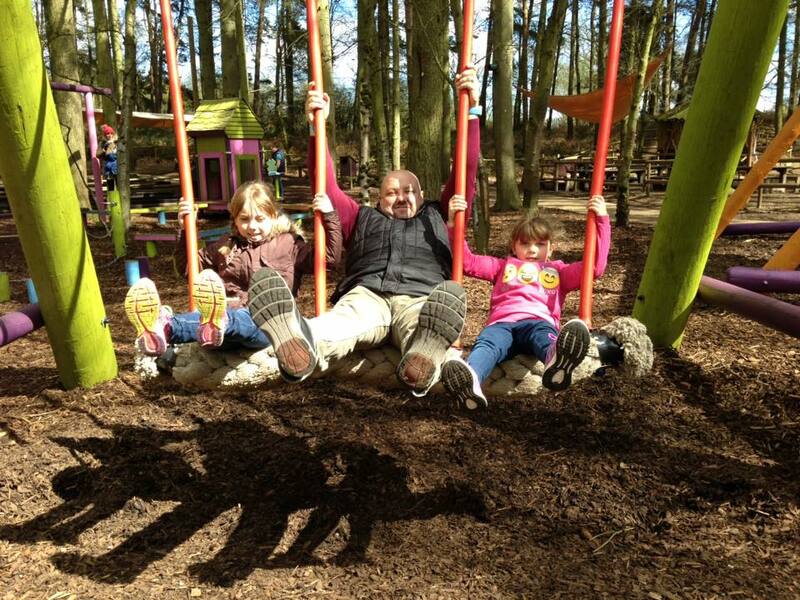 We have visited Clarkes farm, Martham for the past 2 years and have been fortunate in the weather each time. Gates opened at 11am and we arrived shortly after this. Learning from our mistake last year we decided to head straight to the tractor ride which takes you out to the farm fields to see their crops and processing areas. Each tractor takes approximately 30 passengers in it's trailer. Then on from this over to the sheep shearing area. On board the farmer accompanying the ride told us about the various crops and what they go through. We got to see the machinery which particularly interested the younger children on board. 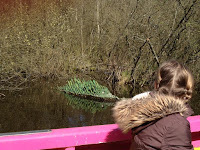 The lady running this activity was very knowledgeable about the pond life and she allowed the children to work independently and answered their many questions thoroughly. 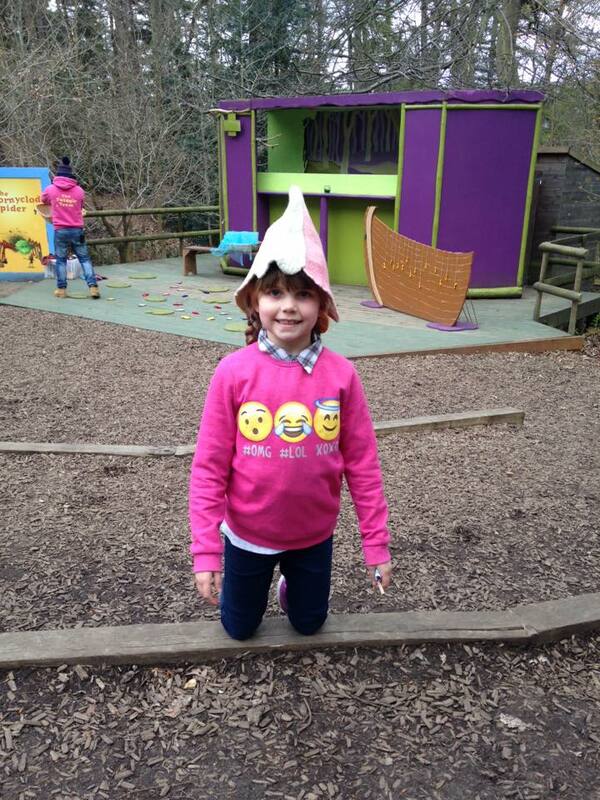 She was completely on their level and got herself up to her elbows in pond sludge without any qualms! Moving on from this we found the Norfolk Wildlife Trust exhibit. This was a wonderful area where the ladies (so funny) told the children all about wildlife we find in Britain. They had bones, wings (sadly from road kill) nests, pond weed, snake skin which had been shed and so much more. We spent quite a while here as it was so interesting, they even had POO! 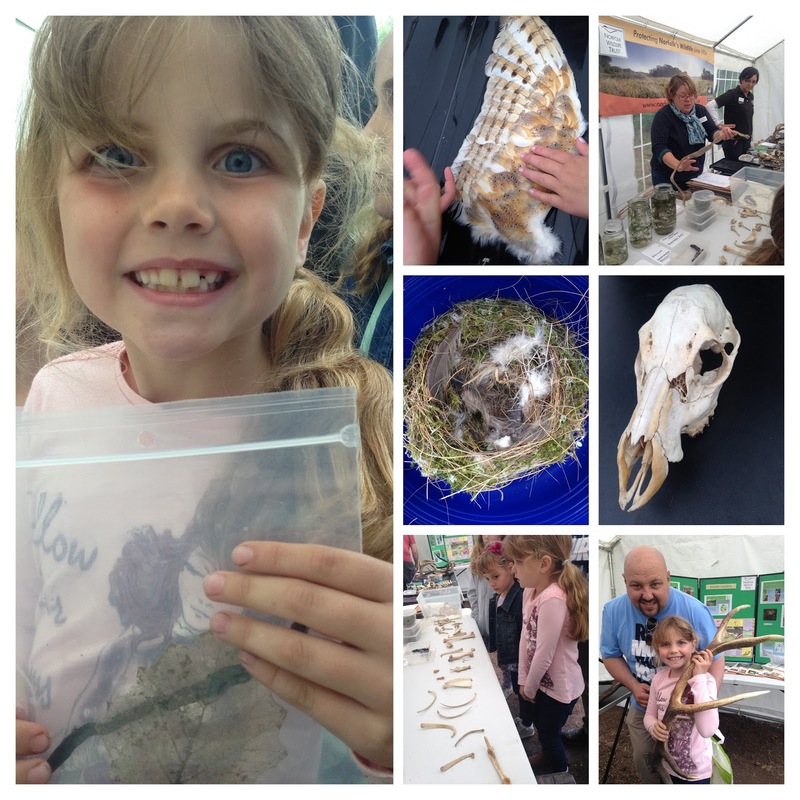 Animal faeces (not to be touched!) where the children could see particles in the poo of what they animal had eaten. 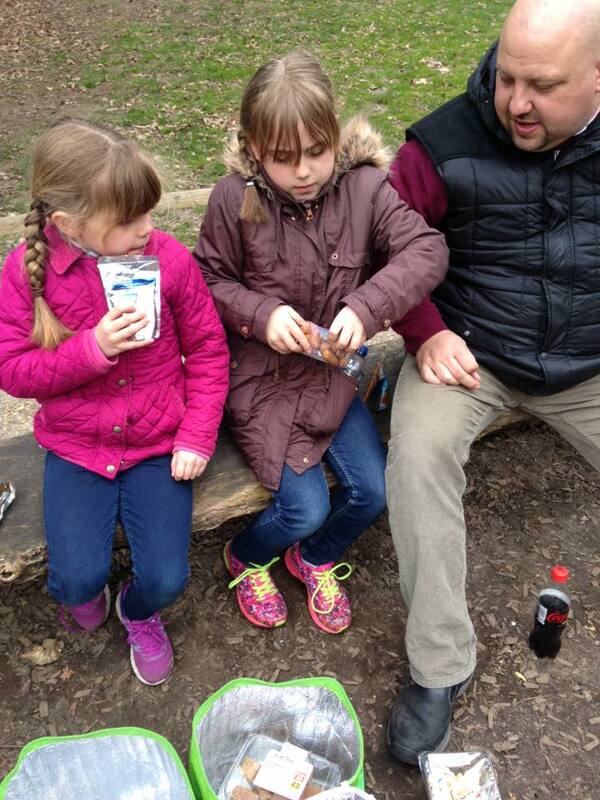 Plenty of hand gel provided at the end of this, as there was after the pond dipping. Then we were on to the sheep shearing. The farmers demonstrating this were fun and very fast! The girls were amazed at how fast they could round up and shear the sheep, then spread and roll the fleece ready for packing. The bearded farmer in the photo did the main talk about the process and told the children that wool is just a by product of sheep rearing as they are primarily reared for meat and that the wool sells for just 20p per ton! 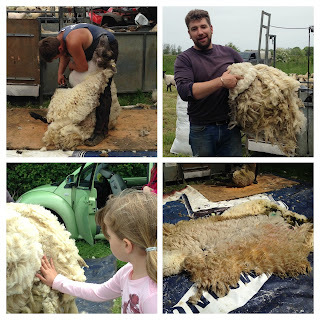 Also that the sheep are sheared just once a year. We arrived back and by now we were feeling hungry and the smell of the BBQ tempted us into the Farmhouse gardens. These were large with plenty of seating available but also wide open spaces for picnics. The BBQ was simple but very tasty, there was a rather long queue but it was worth the wait. Burgers and hot dogs were reasonably priced at around £2. They also sold cans of pop. Over the garden was another food area selling hot drinks and homemade cakes, these ranged from 30p-£1 and we ended up having second helpings as they were so delicious! 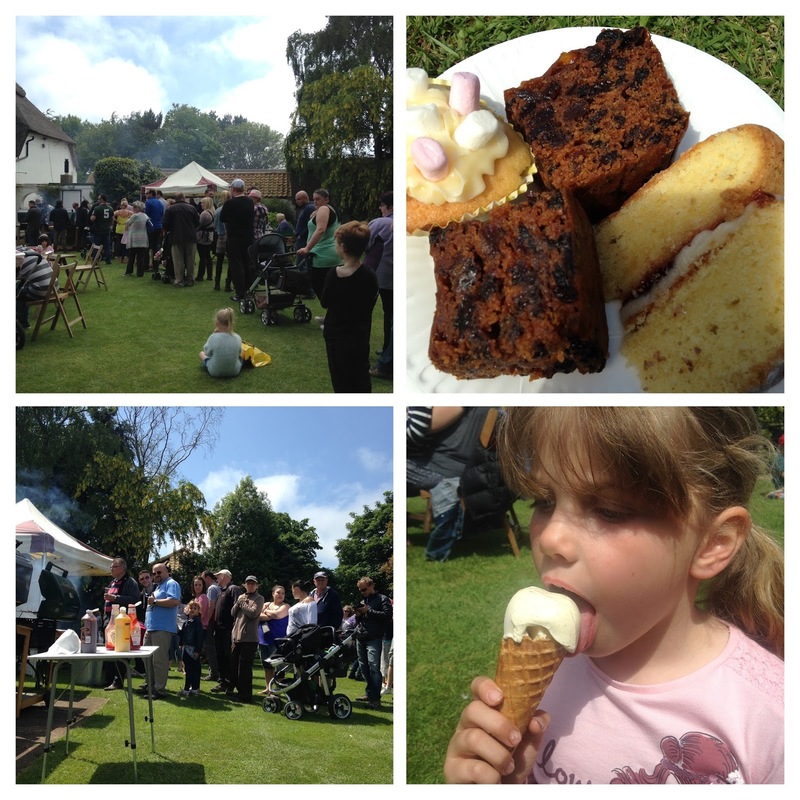 Proceeds from these and the BBQ went to charity. Then there was an ice cream stall with cones at £1.50. 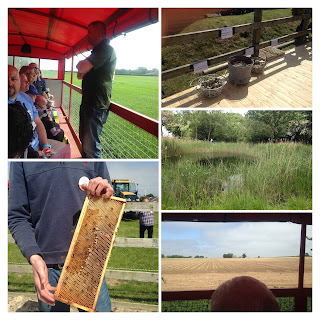 Once we had filled our tummies we ventured into the farmyard to stroll around the machinery and exhibits there. From locally made honey to Kettle crisps (which he farmer provided potatoes for) birds of prey to British Sugar and local ales! I think some of the stalls missed a trick here and could of sold their produce as we would have certainly purchased some of the honey and crisps. The girls and their friends enjoyed climbing on the large machinery, ever a photo opportunity for Emily! 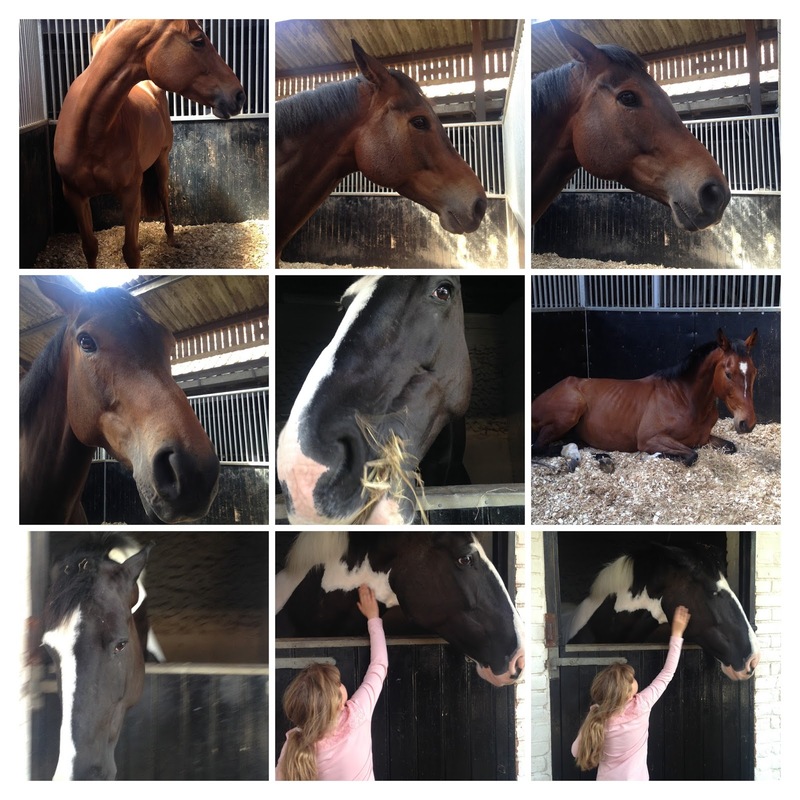 Lastly we went into the stable area where we spent quite awhile walking along the stalls and stroking the horses. I think this was probably my favourite part! It was hard to get the girls to come out. They were rather beautiful. By 3.45pm we were done. It had been a great time and lovely to be out on the fresh air and learning something new. 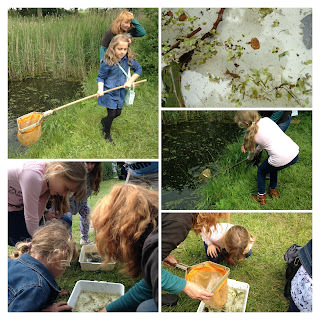 The girls got a bit of a taste for pond dipping and got permission from their Principle to have a go in the school pond that week. We were hopping to stop off on the way home for strawberry picking but unfortunately they weren't ready yet. That will be a trip for another weekend! So get the date marked in your diary now! We absolutely loved it and were pleased to introduce our friends to the event too. Here's to Open Farm 2017! 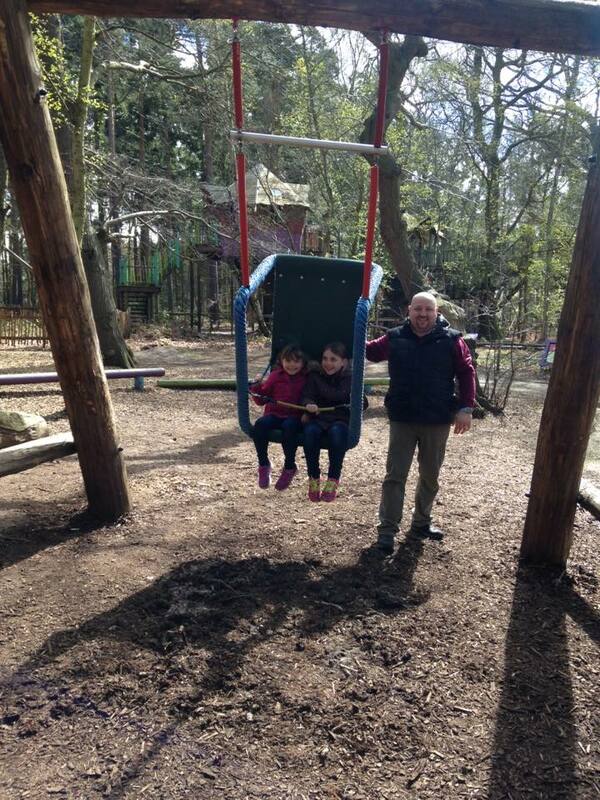 A couple of weeks ago I recieved a call from a good friend of mine asking whether we would like to join them at Bewilderwood for a day out. 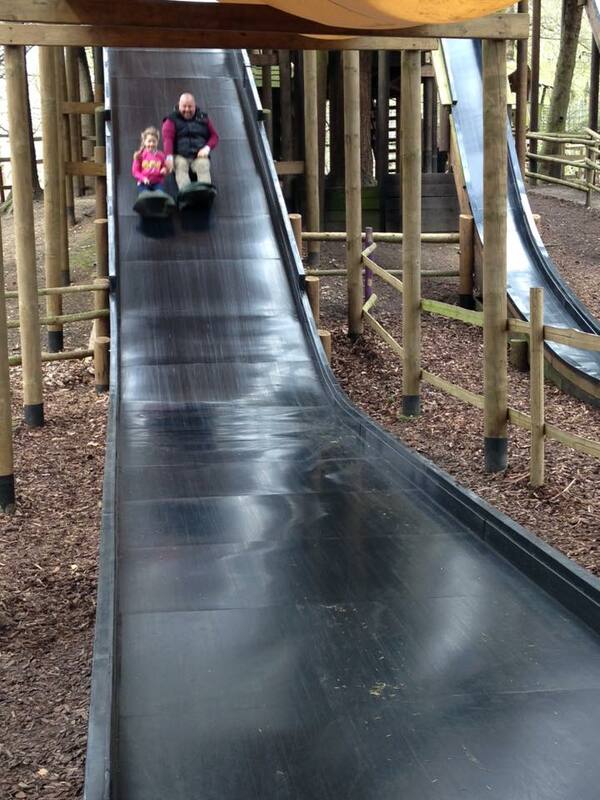 Always happy to go on family days out we jumped at the chance. 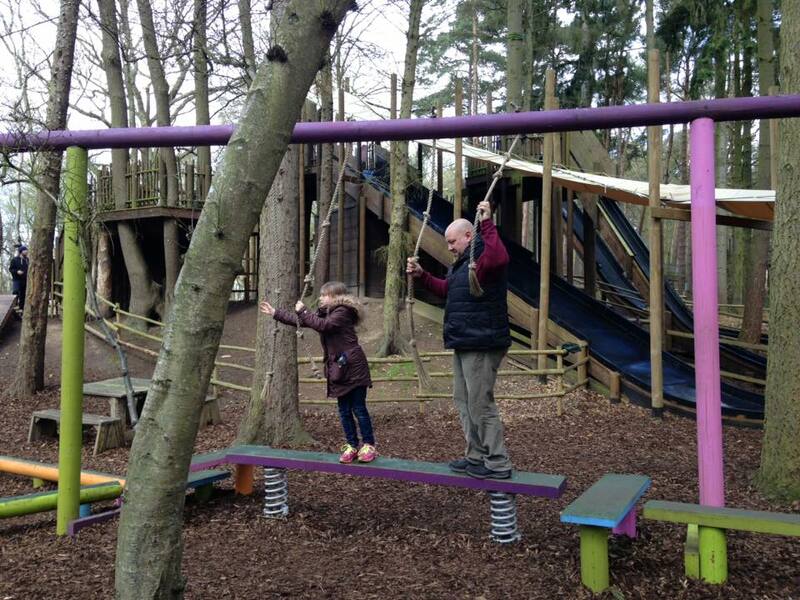 For those of you who don't know, BeWILDerwood is a Norfolk Broads based Treehouse Adventure Park. 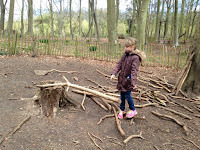 Its set in a woodland area and is the setting for the book, 'A Boggle at BeWILDerwood' by local children's author Tom Blofeld, this gives the whole place a mystical and intriguing atmosphere. 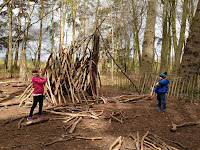 Parents are encouraged to become Twiggles and Boggles for the day alongside their children, they are encouraged to stop being a grown up and to play, to climb, to build dens and to swing or slide their way to fun! 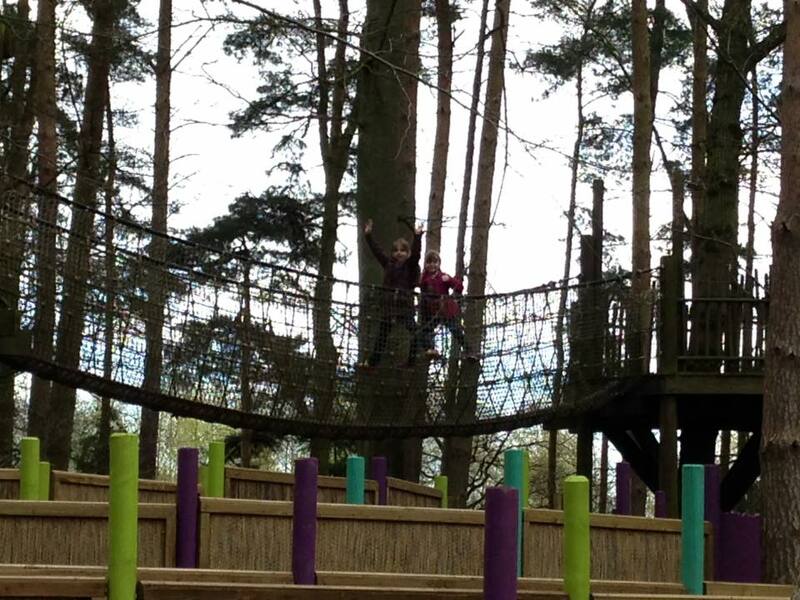 Prices are based on height as there's a few bits and bobs in our park that require longer arms and legs (like our big zip wires)! Food and drink are available throughout the park to purchase but families are equally welcome to bring a picnic with them. We arrived shortly after 10am on the Sunday morning and made our way through to the ticketing booth. It was pretty quite so the main booth wasn't actually open, but their were two smaller ones within the entrance gates and we were given our wrist bands and through quickly. The children were each given a pencil and treasure hunt card. These gave you clues to find in the park, once you found these you had to make a crayon rubbing on the card. At the end you present these on the way out and children are awarded with a button badge. We decided to jump on the boat ride that you can take in and out of the main area, last time we visited this had been really busy but today there was no queue. The driver of the boat was very cheerful and helped our friend on with her pram. 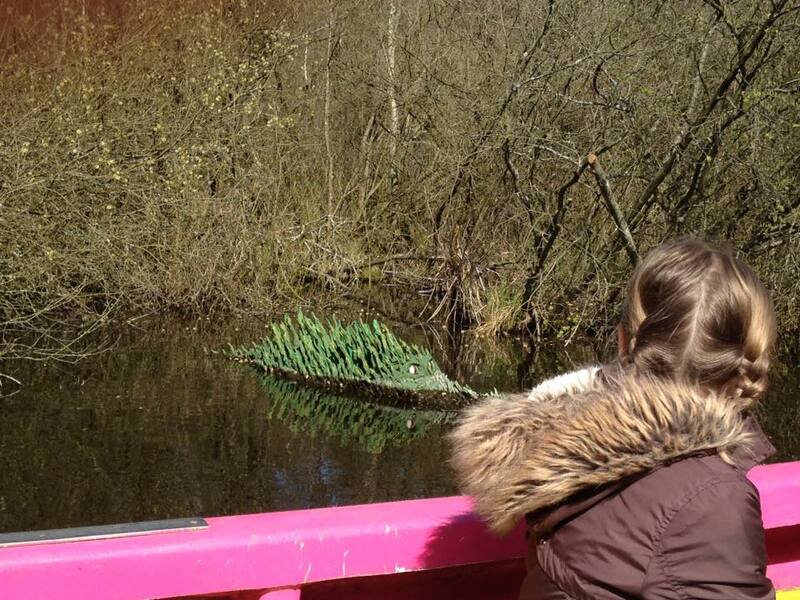 Once we were aboard we set sail and en route the driver told us the story of BeWILDerwood and introduced us to Mildred the Crocklebog (watch her she likes to spray visitors with water!) and about Swampy, one of the main characters found in the park and in the stories. For those who prefer to walk through there is the Treacherous Trail which is wheelchair and buggy friendly. Mildred was ready to say Good morning! We disembarked at the other end and here we found the Snack Shack on the jetty and a map of the park. 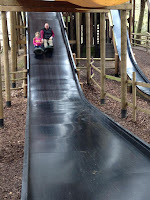 and found ourselves in the first play area with Toddlewood Valley, The Broken Bridge and Tricky Tunnels. 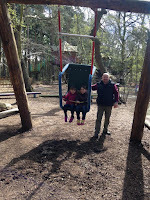 We all enjoyed ourselves here and our children being that little bit older and more confident were soon running off ahead and then cheering to us to catch up! 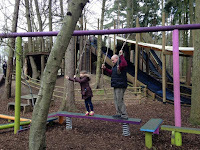 After a good play in this area we ventured off to find the Wobbly Wires and Slippery Slopes. 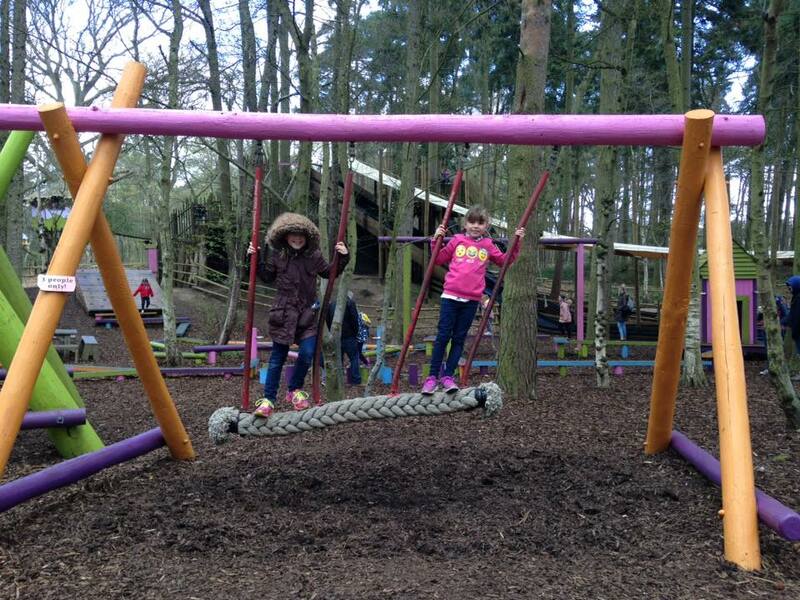 The girls had great fun zooming along on the zip wires and the giant slides were enjoyed by all. 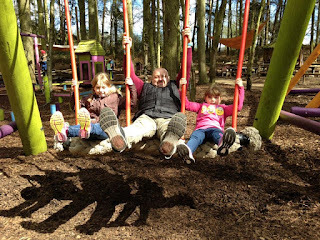 We noticed large swings with bars across the front in all of the playareas and signs up telling you that these were accessible for disable users, I thought it was great that a few alterations to the equipment meant it could be enjoyed by all. 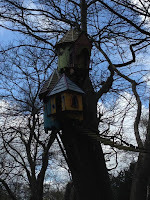 We spotted some curiosities high up in the trees and learnt that this was the Twiggle Village, the Twiggles live up high, whereas the Boggles are ground loving residents. 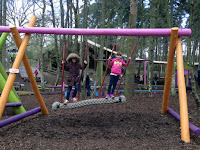 We happened upon the Muddle Maze and the girls had fun rushing around to see who could be the first to reach the centre. Whilst the kids (young and old!) were enjoying themselves here I ventured off to find refreshments. I needed warming up! I found the Not-so-Large Yummy Yurt, the Large Yummy Yurt and the Munch Bar in this area and treated us to drinks and chocolate bars. I was a bit surprised by the price; a regular coffee, a bottle of water and 4 chocolate bars cost £12.75! The coffee and water were priced and were comparable to buying out in most places, however the chocolate bars had no prices displayed. We settle down in time to see the StoryTeller whilst we ate, this was a fun interactive show where the audience are invited to dress up and to join in with the story. The show only lasted 15 minutes or so but gave us some entertainment to enjoy when having our picnic. 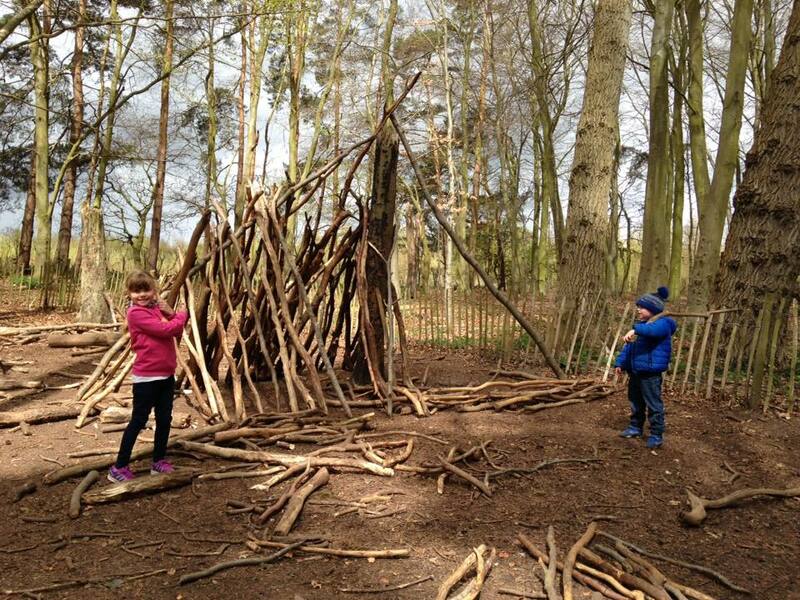 After this it was time to head over to the den building area, the kids had been desperate to get to this all day! 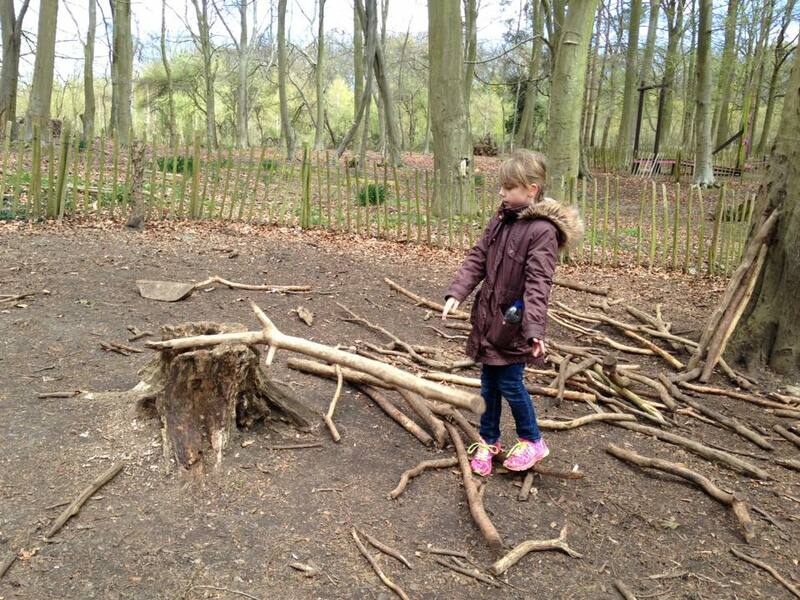 A large open area with branches of all sizes scattered about for people to build their own dens. 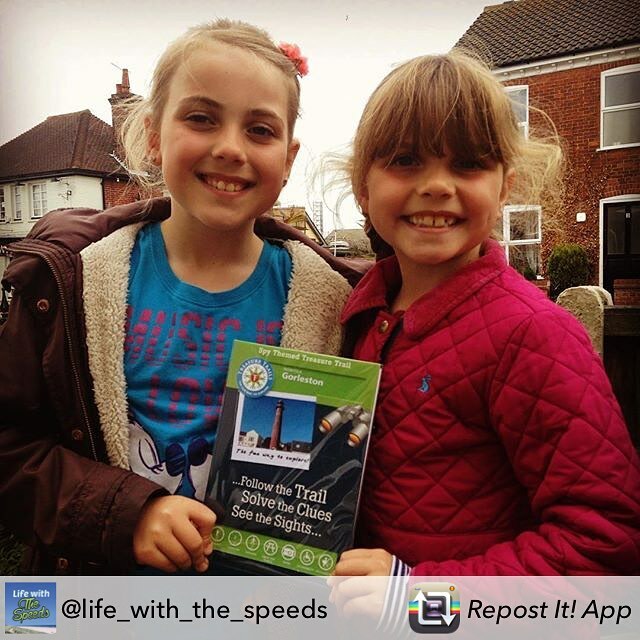 They had lots of fun rushing about collecting their props and struts! 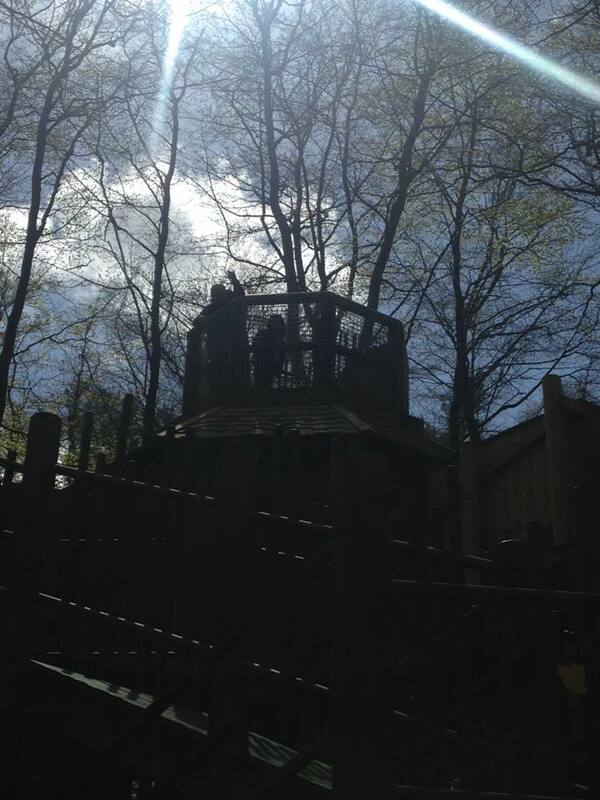 Next to the Den Building area was the Sky Maze. 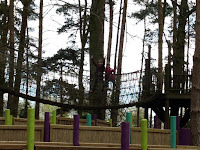 As our friend was sitting this one out with her baby and buggy I stayed back with her to chat whilst Chris and the girls had fun racing to the top. Its a large wooden structure with ramps and steps to the top, however, all isn't as it seems as you race along one platform and you can see your destination, you are suddenly faced with a barricade and have to rethink your route. At BeWILDerwood they also offer free face painting, During this visit they had a frog theme going on with it and our girls decided they didn't fancy it but our friends son was keen when he spotted it next to the Big Hat (craft area). I think he makes a pretty cute frog! 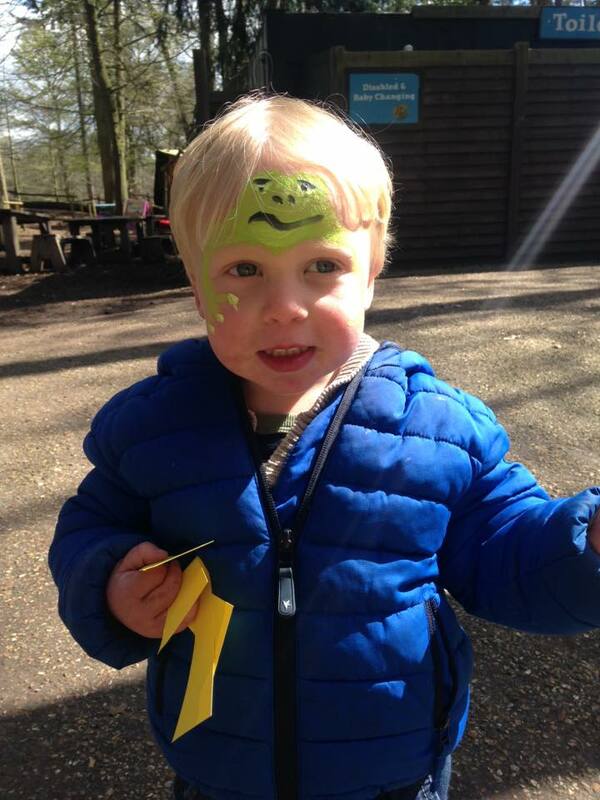 The craft area has different themes depending on when you go, this time it was swimming fish on sticks! Before we knew it, it was time to leave. we had decided to walk out but as we past the boat dock we saw that there was no queue so we decided to take the boat back. Again we had a friendly and cheerful driver who made the trip fun for all. 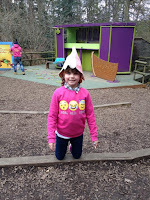 BeWILDerwood is a fun place to visit and its great that there is something like this in Norfolk. It always features high on tourist "Top Tens" etc and we can see why. We have taken our friends from "Here Come the Hoopers" here before and they certainly seemed to enjoy themselves. 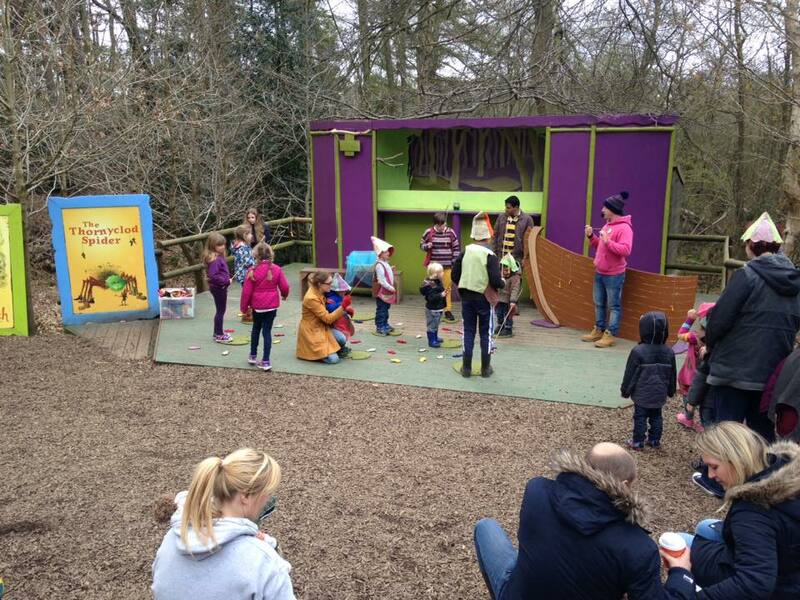 I like that BeWILDerwood has varying themes throughout the season and if you follow them on Facebook you can see their upcoming events. They also offer Birthday Party packages. 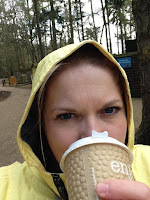 The only down side was it's a little pricey for what you get, however you can fill a whole day there so it's comparable to other attractions and for us the food, we just prefer to take picnics. 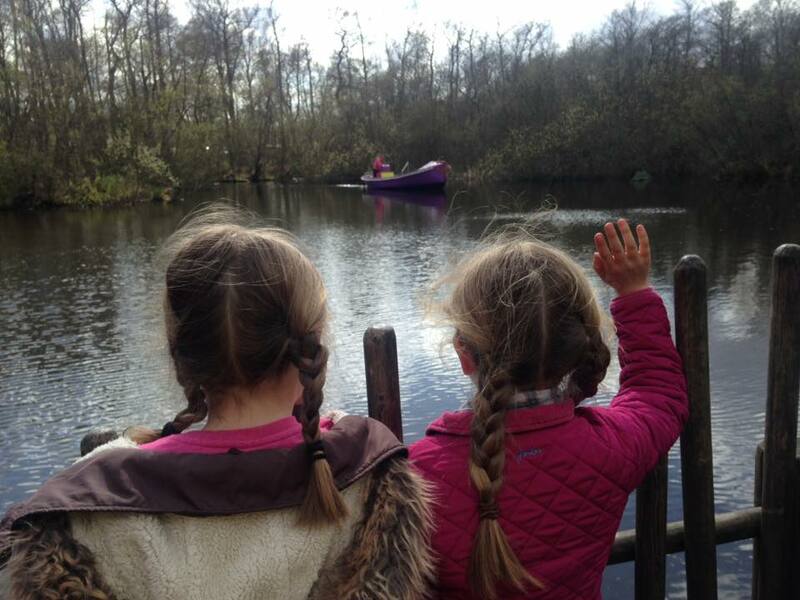 So why not check it out for yourself and share your day out with us!